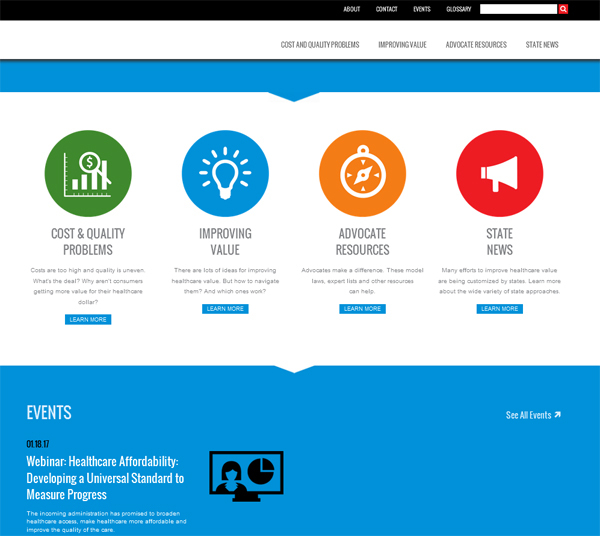 Filter the latest health care reform news by state and/or topic. Register for upcoming educational events and view content from previous events. Use a data visualization tool that presents strategies for helps users determine how to get better coverage for their health insurance dollar, find health care from the most qualified provider at a lower price. Learn about the latest initiatives and terminology in health care advocacy.